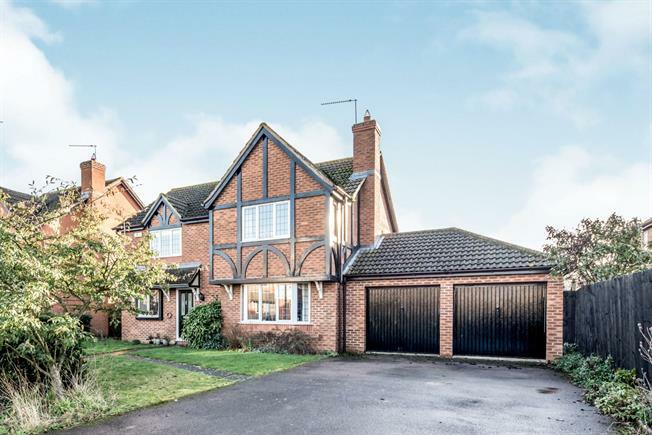 4 Bedroom Detached House For Sale in Bedford for Asking Price £425,000. The property comprise of entrance hall, large bay fronted lounge with double doors to dining room which has double doors to rear garden, large kitchen-diner with separate utility room, study and W/C. The first floor offers four double bedrooms all with fitted wardrobes and en-suite to master, the further three bedrooms are all serviced via the main bathroom. Outside offers double garage with driveway, and both front and rear gardens.